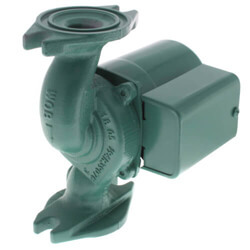 Pumps are an integral part of any Hydronic System. 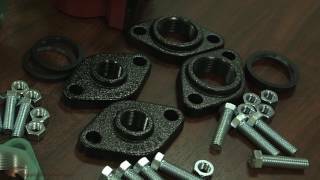 Flanges are an integral part of installing any pump. Get both here. 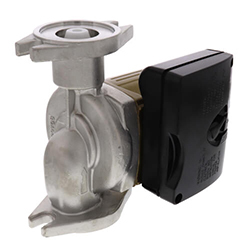 A pump (circulator) is the heart of a hydronic system. Pumps move water through the system at a desired rate. 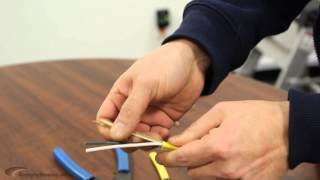 They may be utilized in a primary loop or for zoning purposes. 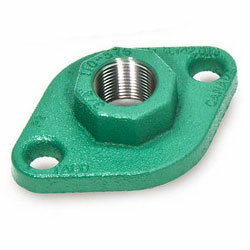 Pumps require a flange to connect to a supply line. 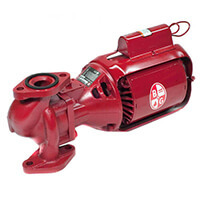 There are many important factors to consider when purchasing a pump such as application, GPM, head range, material, voltage, and horsepower. 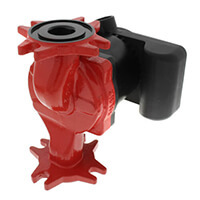 Pumps that are solely used for closed loop hydronic systems can be constructed of cast iron. Closed loop systems contain water that is de-oxygenated which prevents the cast iron pump from rusting. However, in open loop systems a steady flow of oxygenated potable water is present. These systems require either bronze or stainless steel pumps to prevent the pump from corroding over time. Variable speed pumps vary their speed as the heating load of a building changes throughout the day. The heating load of a building is dependent on factors such as outdoor temperature and thermostat setting. 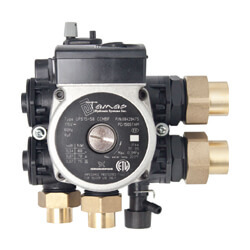 Variable speed pumps are best for zone valve systems with a one system circulator. 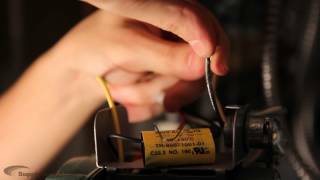 They are also ideal in radiant heat systems that use manifold actuators with multiple zones on a single manifold. 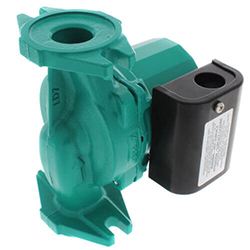 Pumps can be equipped with an internal flow check valve (IFC). 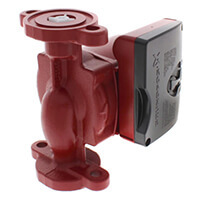 IFC pumps eliminate the need for a separate in-line flow check in the hydronic system. We offer a wide selection of Taco, Bell & Gossett, Grundfos, Wilo, and Armstrong Pumps to suit all of your hydronic heating needs.